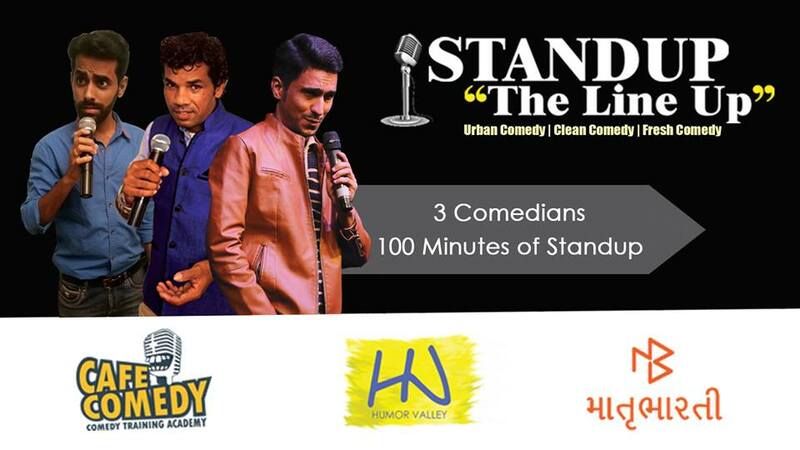 What if three stand-up comedians speak their hearts out as their best of the new content about their life observations on one stage, ‘Stand-Up The Line Up’ is the show which is exactly that. It is a unique comedy show which provides you the experience of real observation based stand-up comedy. An urban comedy show with the USP of ‘Clean Comedy’ concept, so a must watch with your friends and family. Give yourself a treat – book your seats now! See you on 13th April 2019, Saturday, at 8 PM. Cafe Comedy is India’s first and only comedy training institute and Gujarat’s finest group of comedians working as comedy group in Gujarat since 5+ years in support of rich clean family content of urban and traditional comedy in Gujarat.